With another successful regular season in the books, the Boston Bruins begin their playoff run tonight against Toronto. Entering the series, they will be without key pieces Sean Kuraly, John Moore, and Kevin Miller. While Kuraly and Moore are expected to return at some point in the first round the same can not be said for Miller. The Bruins could be without their veteran defenseman for an extended time. Despite entering the postseason banged up, expectations remain high for this Bruins team. After an early playoff exit last season they will be looking to make a deeper run this time around. While Bruins roster is very different from last season, their keys to success remain the same. 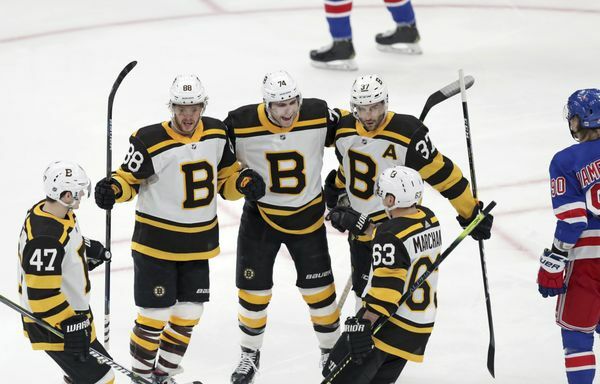 After a thrilling first-round series with Toronto, the Bruins were eliminated in five games by Tampa Bay. One of the main reasons was the lack of secondary scoring, which again plagued them earlier this year. Entering the first round, the Bruins second and third lines appear stronger than ever. Unlike last season David Krejci is coming off arguably the best regular season of his career. The Bruins are hoping that he carries that over into the postseason. He has proven to be a difference maker and excelled in the playoffs. During the 2011 championship run, Krejci led the league with 23 points. He will also have two solid wingers on his sides in Jake DeBrusk and rookie Karson Kuhlman. Additionally, The Bruins enter the first round with one of the best goalie tandems in the league. While Rask has struggled of late, he still had a strong regular season. He will receive most of the starts however if he falters the Bruins have a very capable backup in Jaroslav Halak. The Bruins backup goalie was not just good but Vezina-worthy which gives Bruce Cassidy many options. Just like in years past, Rask will be out to prove that he can lead this team to a championship. Furthermore, the Bruins have more experience this time around. Last season both Danton Heinen and Jake DeBrusk were counted on heavily in the postseason. DeBrusk excelled, however, Heinen hardly made an impact. The playoffs are a different animal, and both wingers responded differently to the postseason. In their second playoff run, they will play key roles and know what to expect. The key for this team will be health which has been an issue all season. While they are missing Kevin Miller fellow defenseman Brandon Carlo will make his postseason debut. Carlo has become a key piece on the Bruins blueline but has missed the postseason the last two years. For the Bruins having their top four defensemen healthy will make this team much harder to face. For the Bruins, however, it will not be an easy road to the finals. Toronto will be no pushover and Tampa Bay could be the team to beat. After a tough exit last year they will be looking to prove their doubters wrong. The Bruins do not only have a deadly top line but a formidable second one. Even with the loss of Miller, their defense is deep with Connor Clifton set to fill in. If this team plays to the best of their abilities, then it will be an entertaining ride. They will not only be looking to make their first Cup Final appearance since 2013 but give Boston a reason to throw a parade this summer.